Want to be your own boss? Want to have your own business? 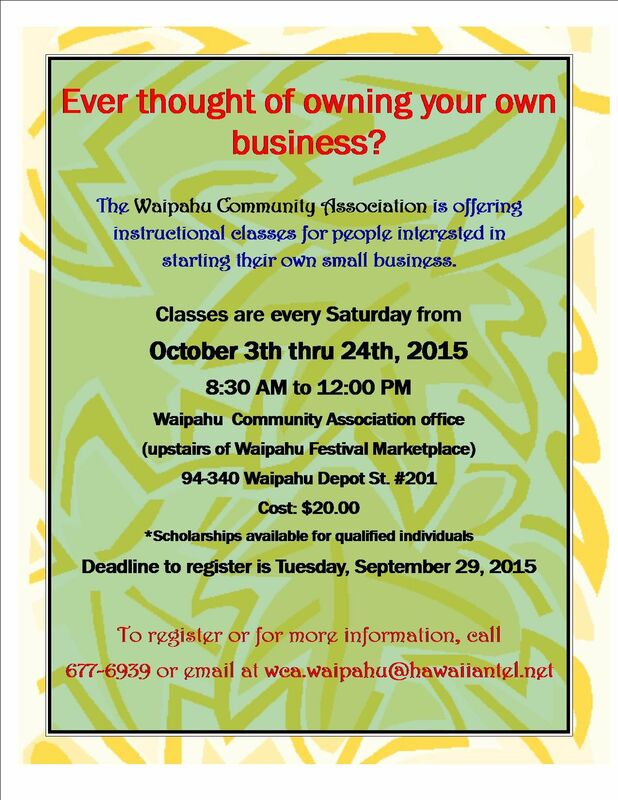 Waipahu Community Association is offering classes for people interested in starting their own small business. October 3rd thru 24th, 4 consecutive Saturdays from 08:30-1200p. Or click on links below for the application and answers to frequently asked questions.